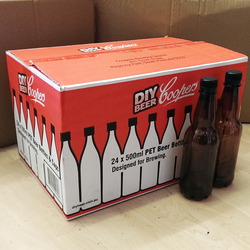 Reuseable, lightweight and shatter-proof beer bottles. Very easy to clean, with oxygen barring (Ox Bar) technology and UV protection. A perfect way to store home brew efficiently.